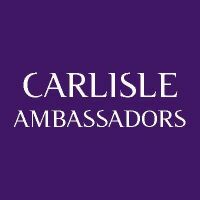 At the end of May we held our Carlisle Ambassador’s meeting at The Halston. Around 220 people joined us to hear excellent speakers, discover more about business via the many showcase stands, and to enjoy time networking and doing business in a relaxed, positive atmosphere. Thanks to Andrew Ashley, Craig Kenyon and Tara Telford for giving us excellent insights into their business. To the many showcases, and to paul Rheinbach, Andy “Fearless” Fearon, and Andy Dodds for inspiring us about #GiveaDayCarlisle, which always creates a buzz in the room. Exciting news that #GiveaDayCopeland has now been developed – more on that soon! Thanks to The Halston for their usual awesome support and hospitality. Great energy and collaboration in the room as always, and fantastic to see so many new faces and members there. We have two events coming up. Marketeer event 12th July 2018 (fully booked), and our 6th September meeting based around Retail, Sport and Leisure. You can book your place here. We already have 23 showcases, and are delighted that speakers include Graham Kenyon from Pioneer Foodservice, and Nat Pattinson, the paralympic Basketball champ! More details to follow. Wednesday, 23 January 2019 Carlisle's next generation of business leaders move things forward.